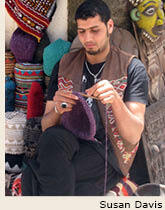 Travel with Moroccan textile expert Dr. Susan Schaefer Davis. 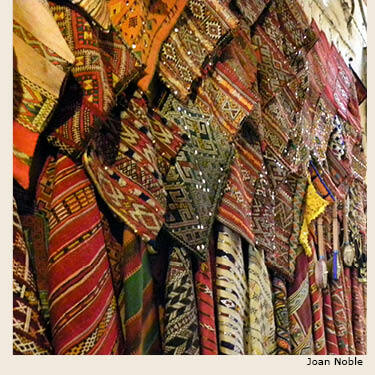 You'll meet her friends and colleagues in their homes and villages, enjoy demonstrations and hands-on experiences with local weavers and other textile artisans. She is a vivacious, witty leader who has lived and worked in Morocco for many years, fluent in the Arabic and French spoken there. She will open the doors into this fascinating society for us to meet many of her friends and colleagues.